Donating blood in Las Vegas has it’s perks. As there always seems to be a shortage of blood in town, especially around the holidays, United Blood Services solicits donors with a different incentive each month. 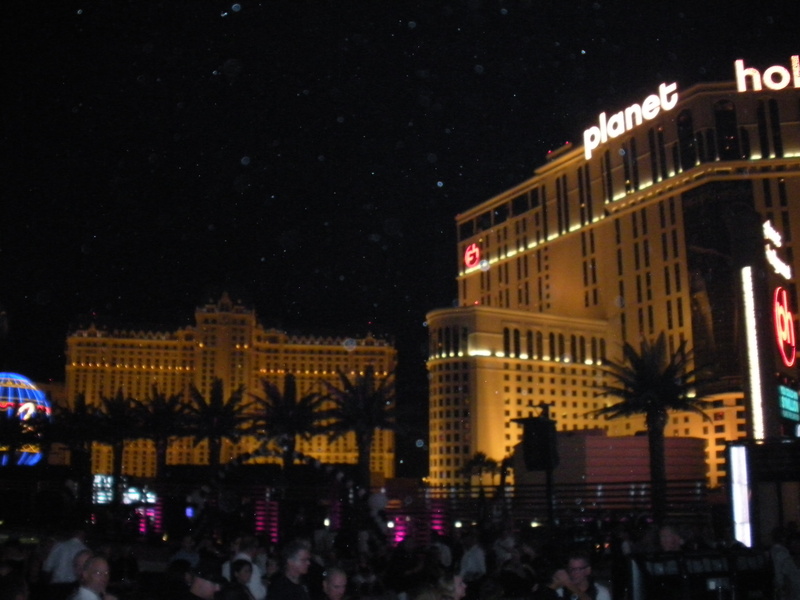 For donating in November, I received 2 free tickets to V The Ultimate Variety Show at the Planet Hollywood. Not a bad deal for a pint of blood and 90 minutes of my time, eh? V is for Vaudeville and this show is a classic in that regard. Opening act Wally the juggler doubled as the emcee for the show. I’ve heard that acts can vary depending on the night, and our show featured the 2 Crazy Gauchos from Argentina (a combination of dancing, percussion and humor), 2 balancing acrobats from Russia, old-school Vegas performer “Melinda the First Lady of Magic,” 2 tap dancing brothers, a comedic routine involving audience participation and 2 roller skaters. My favorite act was the roller skaters, as I sat on the edge of my seat throughout their act afraid of who might die if they made a mistake. Watching the 75-minute show reminded of how much talent our city has (or imports). The show runs 7 days a week at 7 pm and 8:30 pm at the V Theater in the Miracle Mile Shops at Planet Hollywood. According to the box office, tickets start at $59.99 (if you’re not a blood donor), although the people sitting next to us indicated they bought theirs for $45 a piece. Be forewarned that unless you invest in the pricy VIP tickets seating is General Admission and the best seats are on a first-come, first-served basis. Also, although there is a bar inside the theater, it was closed during our show. A waitress came around to take orders, but as the drinks are overpriced (unless you really wanted the souvenir glow-in-the-dark cup) it appeared acceptable to bring in outside beverages. This show is also family friendly and there were a number of kids in the audience. This is a rarity in Las Vegas, with so much of our entertainment geared toward the 21+ populataion. Aside from a little provactive dancing (it’s Vegas after all), the show is completely PG. This entry was posted in Las Vegas and tagged blood donation, Las Vegas, Las Vegas show reviews, variety show, Vaudeville. Bookmark the permalink. I love Melinda the first lady of magic! Is she like 85 now? I know! I think she used to come to our elementary school to perform, but perhaps I’m confusing her with another magical lady. Anyways, she looked great for her age.